Bu çalışmanın amacı bilgi yönetimi ve insan kaynakları yönetimi alanları arasındaki bağlantıya işaret etmektir. Bu çalışma algılanan eğitim yoğunluğu ve bilgi paylaşımı arasındaki ilişkinin yanı sıra, içsel motivasyon ve özyeterliliğin bu ilişkideki düzenleyici rollerini ortaya koymak amacıyla Türkiye'de bankacılık sektöründe faaliyet gösteren farklı örgütsel çerçevelere sahip çeşitli örgütlerde gerçekleştirilmiştir. Veriler, kamu bankaları, yerli sermayeli özel bankalar, yabancı sermayeli özel bankalar ve katılım bankalarından oluşan dört farklı bankacılık sektörü kuruluşunda çalışan 497 çalışandan toplanmıştır. Çalışma bulguları, algılanan eğitim yoğunluğu ve bilgi paylaşımı arasında pozitif bir ilişki olduğunu ortaya koymaktadır. Bulgular aynı zamanda içsel motivasyon ve özyeterliliğin bilgi paylaşımı üzerinde pozitif etkileri olduğunu ve algılanan eğitim yoğunluğu ile bilgi paylaşımı arasındaki ilişkide düzenleyici role sahip olduklarını olduğunu ortaya koymaktadır. The aim of the present study is to show the links between the domains of knowledge management and human resources management. 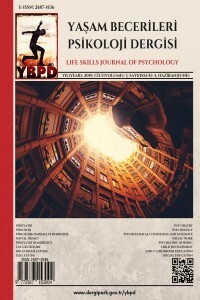 This study was conducted among employees from multiple organizations (within different organizational frameworks) in the banking sector in Turkey to examine the relationship between perceived training intensity (PTI) and knowledge sharing considering intrinsic motivation and self-efficacy as the moderating variables. Data was collected from 497 employees working in four different types of banking sector organizations (public banks, private banks with Turkish capital, private banks with foreign capital and participation banks). While a positive relationship was found between perceived training intensity and knowledge sharing, it was reported that, intrinsic motivation and self-efficacy had a positive impact on knowledge sharing and moderated this relationship. Aiken, L.S., West, S.G., & Reno, R.R. (1991). Multiple regression: Testing and interpreting interactions. Sage. Bandura, A. (1995). Exercise of personal and collective efficacy in changing societies. In Self-efficacy in Changing Societies. Cambridge University Press. Bandura, A. (1997). Self-efficacy: The exercise of control. Freeman. Bixler, C.H. (2005). Developing a foundation for a successful knowledge management system. In Creating the discipline of knowledge management (pp. 51-65). Elsevier Butterworth-Heinemann. Bock, G.W., & Kim, Y.G. (2002). Breaking the myths of rewards: An exploratory study of attitudes about knowledge sharing. Information Resources Management Journal, 15(2), 14-21. Bock, G.W., Zmud, R.W., Kim, Y.G., & Lee, J.N. (2005). Behavioral intention formation in knowledge sharing: Examining the roles of extrinsic motivators, social-psychological forces, and organizational climate. MIS Quarterly, 29, 87-111. Cabrera, E.F., & Cabrera, A. (2005). Fostering knowledge sharing through people management practices. The International Journal of Human Resource Management, 16(5), 720-735. Cabrera, A., Collins, W.C., & Salgado, J.F. (2006). Determinants of individual engagement in knowledge sharing. The International Journal of Human Resource Management, 17(2), 245-264. Chimote, N.K. (2010). Training programs: Evaluation of trainees' expectations and experience. IUP Journal of Organizational Behavior, 9(3), 28-47. Cohen, J., Cohen, P., West, S.G. & Aiken, L.S. (2003). Applied multiple regression/correlation analysis for the behavioral sciences. Erlbaum. Constant, D., Kiesler, S., & Sproull, L. (1994). What's mine is ours, or is it? A study of attitudes about information sharing. Information systems research, 5(4), 400-421. Constant, D., Sproull, L., & Kiesler, S. (1996). The kindness of strangers: The usefulness of electronic weak ties for technical advice. Organization science, 7(2), 119-135. Davenport, T.H., Jarvenpaa, S.L., & Beers, M.C. (1996). Improving knowledge work processes. Sloan Management Review, 37, 53-66. Deci, E.L. (1975). Intrinsic motivation. New York: Plenum Press. De Vries, R.E., Van den Hooff, B., & de Ridder, J.A. (2006). Explaining knowledge sharing: The role of team communication styles, job satisfaction, and performance beliefs. Communication Research, 33(2), 115-135. Do Rosário Cabrita, M., Cruz-Machado, V., & Matos, F. (2013). Linking knowledge management and ıntellectual capital: A study in Portuguese banks. International Journal of Sociotechnology and Knowledge Development, 5(4), 1-13. Endres, M.L., Endres, S.P., Chowdhury, S.K., & Alam, I. (2007). Tacit knowledge sharing, self-efficacy theory, and application to the open source community. Journal of knowledge management, 11(3), 92-103. Fentem, A.C., Dumas, A., & McDonnell, J. (1998). Evolving spatial representations to support innovation and the communication of strategic knowledge. Knowledge-Based Systems, 11(7-8), 417-428. Foss, N.J., Minbaeva, D.B., Pedersen, T., & Reinholt, M. (2009). Encouraging knowledge sharing among employees: How job design matters. Human Resource Management, 48(6), 871-893. Gagné, M. (2009). A model of knowledge‐sharing motivation. Human Resource Management, 48(4), 571-589. Hasan, B., Ahmed, M. (2009). A model of gender differences in knowledge sharing attitude in group projects, Proceedings for the Northeast Region Decision Sciences Institute; 185. Janus, S.S. (2016). Becoming a knowledge-sharing organization: A handbook for scaling up solutions through knowledge capturing and sharing. The World Bank. Kankanhalli, A., Tan, B.C., & Wei, K.K. (2005). Contributing knowledge to electronic repositories: An empirical investigation. Management Information Systems Quarterly, 29(1), 113-143. Kuvaas, B., Buch, R., & Dysvik, A. (2012). Perceived training intensity and knowledge sharing: Sharing for intrinsic and prosocial reasons. Human Resource Management, 51(2), 167-187. Lamb, E.C. (2001). Knowledge management: How to mine the information treasures inside your bank. A tale of measuring and managing the potential within. Community Banker, 10, 23-26. Lin, H.F. (2007). Effects of extrinsic and intrinsic motivation on employee knowledge sharing intentions. Journal of Information Science, 33(2), 135-149. Lindsey, K.L. (2011). Barriers to knowledge sharing, In Encyclopedia of knowledge management. David G. Schwartz & Dov Te'eni (Eds.) Vol. 1 (49-61). IGI Global. McDermott, R., & O’Dell, C. (2001). Overcoming cultural barriers to sharing knowledge. Journal of Knowledge Management, 5(1), 76-85. Mohammed, J., Bhatti, M.K., Jariko, G.A., & Zehri, A.W. (2013). Importance of human resource investment for organizations and economy: A critical analysis. Journal of Managerial Sciences, 7(1), 127-133. Morgan, J. (2016). Say goodbye to knowledge workers and welcome to learning workers. Retrieved www.forbes.com/sites/jacobmorgan/2016/06/07/say-goodbye-to-knowledge-workers-and-welcome-to-learning workers/#1b6afe902f93. Nikitas, S. (2018). 5 major retail banking challenges in 2018 (and how to overcome them), Retrieved at https://thefinancialbrand.com/69375/5-retail-banking-challenges-2018. Nonaka, I., & Takeuchi, H. (2007). The knowledge-creating company. Harvard Business Review, 85(7/8), 162. O'Dell, C., & Grayson, C.J. (1998). If only we knew what we know: Identification and transfer of internal best practices. California Management Review, 40(3), 154-174. Ojha, A.K. (2005). Impact of team demography on knowledge sharing in software project teams. South Asian Journal of Management, 12(3), 67-78. Olodude, O.O., & Oladejo, B.F. (2013). Enhanced customer-based knowledge management system for products generation in banking system. Annals. Computer Science Series, 11(1), 129-137. Osterloh, M., & Frey, B.S. (2000). Motivation, knowledge transfer, and organizational forms. Organization Science, 11(5), 538-550. Paulsson, K., Ivergård, T., & Hunt, B. (2005). Learning at work: Competence development or competence-stress. Applied Ergonomics, 36(2), 135-144. Pfeffer, J., & Sutton, R.I. (2000). The knowing-doing gap: How smart companies turn knowledge into action. Harvard Business Press. Rabbiosi, L., & Makela, K. (2009). Organizational climate and knowledge sharing: An individual level perspective. In Druid Summer Conference 2009. Ryan, RM., & Deci, E.L. (2000). Intrinsic and extrinsic motivations: Classic definitions and new directions. Contemporary Educational Psychology, 25(1), 54-67. Schwarzer, R. & Jerusalem, M. (1995). Generalized self-efficacy scale. In Measures In Health Psychology: A User’s Portfolio. Causal and Control Beliefs (35-37). Nfer-Nelson. Senge, P. (1997). Sharing knowledge, Executive Excellence, 14, 17-18. Sims, R.R. (2002). Organizational success through effective human resources management. Quorum Books. Spinath, B., & Steinmayr, R. (2012). The roles of competence beliefs and goal orientations for change in intrinsic motivation. Journal of Educational Psychology, 104(4), 1135-1148. The Banks Association of Turkey (2018). Member banks. Retrieved at https://www.tbb.org.tr/en/modules/bankabilgileri/banka_Listesi.asp?tarih=3/3/2018. The Participation Banks Association of Turkey (2018). Member banks. Retrieved at http://www.tkbb.org.tr/en. U.S. Department of Commerce, U.S. Department of Education, U.S. Department of Labor, National Institute of Literacy, and the Small Business Administration (1999). 21st century skills for 21st century jobs. Retrieved at https://permanent .access.gpo.gov/lps2722/21stCenturySkillsJobs.pdf. Van Den Hooff, B., & De Ridder, J. A. (2004). Knowledge sharing in context: The influence of organizational commitment, communication climate and CMC use on knowledge sharing. Journal of Knowledge Management, 8(6), 117-130. Welschen, J., Todorova, N., & Mills, A.M. (2012). An investigation of the impact of intrinsic motivation on organizational knowledge sharing. International Journal of Knowledge Management, 8(2), 23-42. Winter, S.G. (1998). Knowledge and competence as strategic assets. In The Competitive Challenge, in The Strategic Management of Intellectual Capital. Butterworth Heinemannn. Yaacob, R.A.I.R., Abdullah, M.R.T.L., Yaacob, R.A.R., Amin, A.M., Bakar, Z.A., Noor, A.M.& Abdullah, A. (2011). Knowledge sharing in organizations: Issues of society and culture, problems and challenges. International Journal of Basic & Applied Sciences, 11(2), 41-46. Yap, L.S., Tasmin, R., Saufi, M., Rusuli, M.S.C. & Hashim, N. (2009). Factors Influencing Knowledge Management Practices Among Multimedia Super Corridor (MSC) Organizations. Retrieved from http://www.ibimapublishing.com/ journals/CIBIMA/2010/834296/834296.pdf. Yildirim, F., & Ilhan, I.O. (2010). The validity and reliability of the general self-efficacy scale-Turkish form. Turkish Journal of Psychiatry, 21(4), 301-308.